The ASUS Zenfone 5z is now available for pre-order. Features Qualcomm Snapdragon 845 processor, dual cameras. The ASUS Zenfone 5Z is now available for pre-order starting June 4 until June 17, 2018. The handset has a price of PHP29,995. Those who pre-order will get freebies worth PHP 2,917 which include a JBL T450 headset, an ASUS ZenPower Slim 3000, and an ASUS Zenfone 5Z clear case. To pre-order, you first need to fill out an online reservation form at zenfonepreorderph.com. A PHP 3,000 reservation fee is required, which will be deducted from the total price when you claim the unit. You can pay at select ASUS or Zenfone Concept Stores and kiosks. Don’t forget to get your collection receipt. Claiming of the units will start on June 18, 2018. You need to pay the balance in full before claiming the phone. Bring a valid ID and your collection receipt. 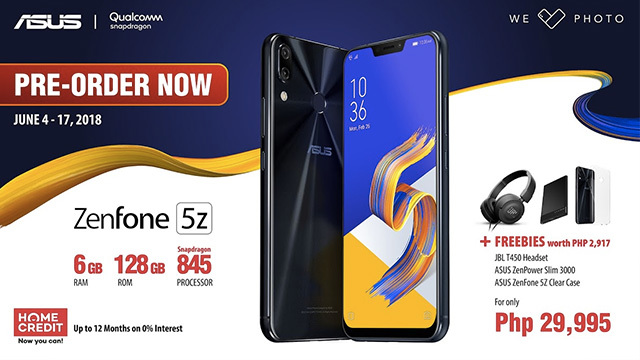 The ASUS Zenfone 5Z is also available in 12 months installment at 0% interest courtesy of Home Credit. For more information about the pre-order process, you may go to zenfonepreorderph.com. 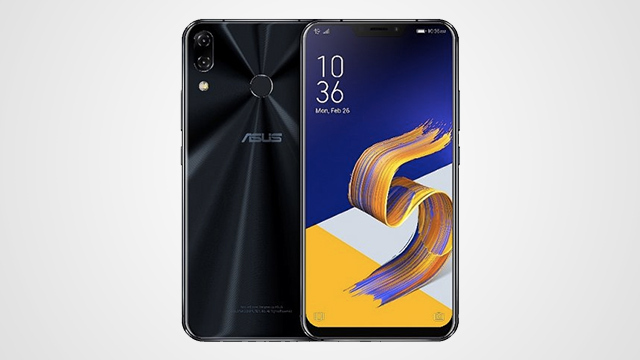 For those who missed it, the ASUS Zenfone 5Z features a 6.2-inch full HD+ Super IPS display, a Snapdragon 845 processor with an Adreno 640 graphics unit, 8GB of RAM, and 256GB of storage. In the imaging department, the phone is equipped with dual 12MP + 8MP cameras. The former is powered by a Sony IMX363 sensor with a 1.4um pixel size, an f/1.8 aperture, a four axis OIS, dual pixel phase detection autofocus, and 83-degree field-of-view. The front camera has an 8MP sensor with an f/2.0 lens.